The question: “what is the best place to live in Melbourne with children” was one of the most important questions that we had when we decided to move to Australia. “Why did you move to Mount Waverley” is also the most commonly asked question that we get here. So here is our story. Since our children are going to school in Australia and the transition is a big one already, we do not want to move to a different area with them again, so searching for the area that we wanted to live was one of the most important issues in our move overseas. What were your search criteria? Which housing website did you use and what was your experience? We started our search while we were still living in Europe. We have been very happy using the www.realestate.com.au website. It gives a good overview of the properties available, as well as showing location maps, rent costs and other, more general information. Our first four criteria are directly answered. We found it to be reasonably accurate. It is maintained by the real estate agents themselves, so there are always some agents who are not so quick in changing their input, but most of them keep things pretty up-to-date. It happend to us twice that the times of the viewings were not correct, so we got to a house that was not open for viewing anymore. It happened to be from the same agent, so this might have been a problem of the agent. Two things that were mostly missing were floor plans and more pictures of the houses. Are affordability and distance from the center related? These go hand in hand. The further you live to the centre the more expensive housing gets. Generally we find the housing prices very steep in Melbourne. For us, locations about half an hour from the city became affordable. This is only 20-25 km distance, but takes at least half an hour by any form of transportation. If you move even further out, you can ‘get more house’ for your money. It is good to know that Melbourne has become Australia’s biggest-growing city and is set to overtake Sydney as the country’s biggest city in 40 years, so I do not expect that it gets more affordable in the future. Do you use public transport to get to work? Oliver’s office is in the center of Melbourne, near South Yarra station. There are limited parking possibilities and traffic is impossible during rush hour, so he, and most of his colleagues, are using public transport for the daily commute. Our nearest station is Jordanville on the Glen Waverley line. Oliver does need to transfer to get to South Yarra, but especially during rush hour the connections are great, with trains going every 10 minutes. What are the child friendly suburbs in Melbourne that you found and considered? This is the train map which we used in determining our search area for housing. Map copyrighted by ptv. Strangely enough Box Hill (on the Belgrave line) never came up. Although I love going there now, because it is very Asian – I love the atmosphere it is almost like being in another country, but with the familiar translations everywhere and people being able to speak English – I would not want to live there. Although we were initially focusing on Preston/Reservoir and Heidelberg, as they are closest to the airport where Oliver needs to go regularly, we did eliminate them because the distance to the Dutch school where the kids go once a week was too great to be able to get there on time. Oliver was very charmed with Heidelberg. Not only because of his German roots, but also because of the outdoor feeling that he got there at the parklands around the Yarra River. So that put our focus on the Southern suburbs. Are there other child friendly area’s in Melbourne that you considered? If you do not mind moving a bit further South (about one hour commute from Melbourne), while we were looking the recently developed area of Mariot Waters in Cranbourne had relatively new, large and affordable housing for lease. There were a lot of houses offered there, so we figured that the chance of being able to get a house would be bigger. We also looked at Aspendale and Bonbeach, directly at the beach and about 45 minutes commute. Oliver did some viewings there, but found this area too suburbia. Only housing, not much activity. 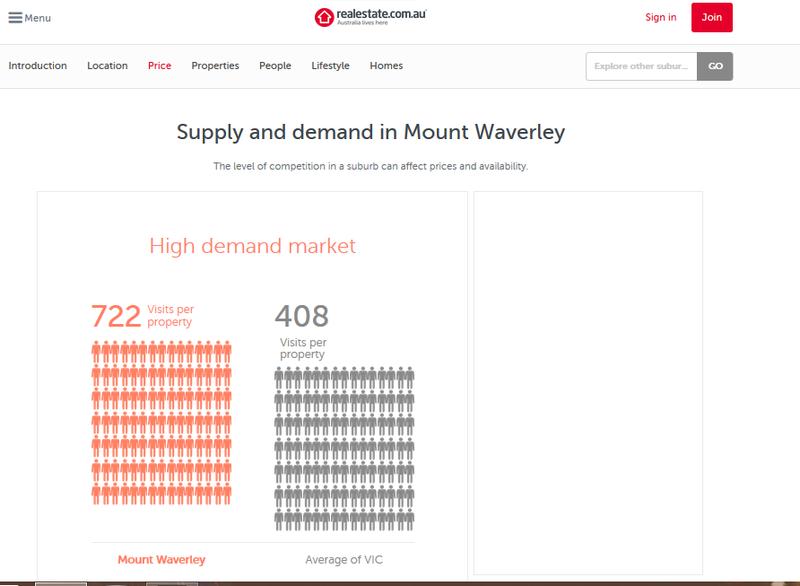 Why did you choose to live in Mount Waverley? We were very charmed with the Ashburton area. We could see our children playing at the Markham Reserve, a lovely playground with a skate ramp, where we will definitely spend more time in the summer and bring our barbie gear. All the schools in this area have a very good rating. But we just fell for the house in Mount Waverley, that was love at first sight. Our children agreed with us from the moment they set foot here. Ok, we have to admit, it is the most European house that we have seen here, so maybe we will have to work on the adapting to a new culture a bit harder…..
How did you decide which school to go to? On the realestate.com.au the distance to the different schools are given for each house. We searched for a government primary school within walking distance of our house (max 1 km). An print of realestate. With every house you get this overview of the nearby schools with the distance. Do double check, as the distance can be an air distance and not the actual distance. Then we would look up the school at the myschool website, that gives an overview of schools in the area and a ranking to be able to compare them. We choose to let our children go to a public school. We were looking for a school with an above average ranking, since we are flexible why not use it in our kids advantage? Read more about this on our post about the schoolsearch. How did you find and look at playgrounds? The melbourneplaygrounds website is great for just about anything that you can do in Melbourne with children.We wanted a playground within walking distance. We would read the review, then try to find something on youtube and finally visit the playground before we did the house viewing. You can not only find a lot of very useful information about playgrounds, but also about a lot more family questions. In fact we still use it to look for family friendly walks in Melbourne. How did you find skating ramps? We had to compromise in our wish list on the walking distance to the skating ramp. It turns out that we are in the middle of all the cool skating ramps (5 km in almost every direction), Ashburton, Box Hill, Glen Waverley. All of which Kai has tried out already and it is hard for him to decide which one he likes the best! Can you give tips for renting a house? Rental prices are published in weeks not in months. Applying for a rental place felt very similar to a job application, also since you can only apply for one house at the same time. You might see many other people viewing a house, but in the end not all those people are likely to apply. Note: this is not completely correct. It has been brought to our attention that in Victoria it is legally allowed to turn down an approved application, as long as you have not signed the lease or paid rent. I can imagine that this will not get you in a good book of the real estate agent though, in case you still need them. We have no personal experience with this. If you like the place ‘on paper’ and you go to the viewing, bring the application, so you can hand it in the same day. There might not be time to think it over. Get (English) reference letters from the landlords (or bank if you had a mortgage) of the last two places you lived in, stating that you have always paid on time and that you received your full deposit/bond back. You will need these in Australia. Our bank did not want to give us an English version, nor did they want to sign one that we translated. We had our mediator sign it, that also worked. If there is a lot of competition it might help to offer to pay the first three months in advance. It is required by law that you have viewed the house before renting it, so you physically need to be here to rent a house. The agent on site that holds the viewing will take down your name and phone number and/or e-mail to confirm this. Note: someone told me that it is also allowed to have someone else doing the viewing for you. We do not have any personal experience with this. Is it difficult to find a rental house in Melbourne? Was it hard? No, looking back at it, it was not as hard as we thought it would be. We did eight viewings, handed in two applications, (the first one was turned down) and we managed to find a house and get the contract within two weeks. But then again, we had good references, a permanent job, no pets and are a family. It is important to realise that there is no “fair” method when it comes for the landlord to pick his/her next tenant. If there is more than one applicant, he/she gets to choose, no strings attached. If there are two viewings planned, but there is a good application after the first one already, they can just say “yes” to that. You will also (most likely) not see them before you sign the contract. All this makes it doubly important that you give the right story in your paperwork and you sell yourself to the agent on the ground. Did you already have a house when you moved here? Yes we did. Our big move was in June. Oliver had the opportunity come here in April for a month. I did the online research and he did the first three house viewings. In his last two weeks I joined him, so we could do the house searching without the children. We are very happy that we have done it this way. It has probably been the more expensive option, but it gave us a lot of piece of mind, which reflected on the children. Once we knew where we would be living, we found it a lot easier to prepare our kids. Did you change your house search strategy when you came here? Yes we did. We thought we would have to search further from the city to find an affordable house than we do now. On realestate.com.au you can also find general information about the suburbs. During our initial research we would avoid searching in an area with a high demand, as we did not think we would stand a chance. I figured that if on average 722 people would be looking for a house it would almost be impossible to find a place there. It turns out (at least we think) that this is only the statistic for website visits. And, if we are any judge, you can divide this number by 8 to 10 to get the number of actual people looking at a property. (We kept cycling back through the site.) Of these people, only a few will actually be interested and even fewer will actually show up to the viewing. It’s still a large(ish) number, but it is not the insurmountable odds that these numbers suggest. Would you have chosen the same area if you moved to Melbourne without children? If just the two of us would have moved here, we would have chosen to live closer to the center and settled with a small apartment, to be in the middle of it all. Since we have two children and would like some more space with them, living there gets very expensive quickly and was not within our budget. Unlike most other big cities, living in the middle of the city here would still be a very child friendly option. There are a lot of parks and open spaces everywhere. If you have more questions, feel free to leave them in the comments and we will gladly add them to this list. You can find all our househunt blog post on our website, or go to the tips and practical questions – moving to Australia page. Stumbled upon your blog this morning and it had been of great help! We are from India with 2 kids ages 3 and 7 and are moving to Melbourne sometime at the end of this year. Our biggest struggle us deciding the best suburb to live in that is kid friendly (parks etc )and also not more than 30min to the cbd. Figured we would rent the first year and then look at buying just so we r sure of where we want to live. Any suggestions on best suburbs will be much appreciated! I know where you come from, as finding the best suburb was our main struggle as well. There are many places that are very recommendable. 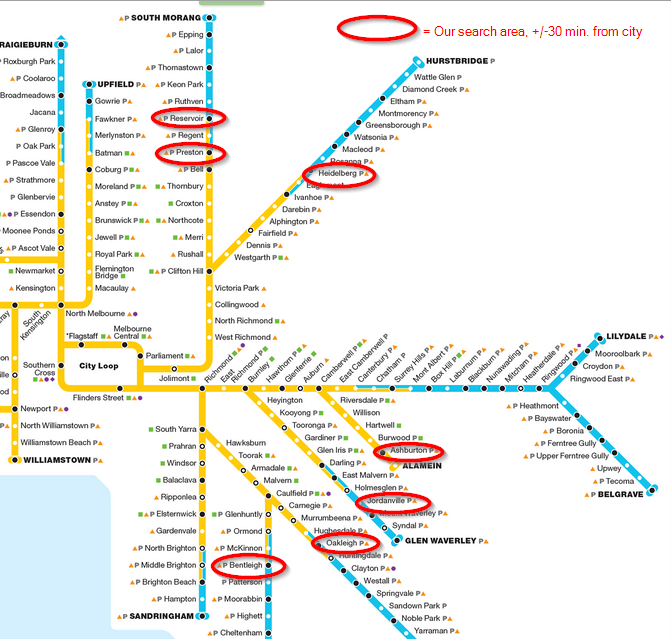 The quickest way to get the CBD is by train, so we looked at the area’s that are close to a train station, had good schools and playgrounds/parks accessible. We personally liked Bentleigh, Oakleigh, Ashburton and the area around Heidelberg, all about 30 minutes from CBD. Heidelberg and surrounding is beautifully lush and green, but did not work for us because of the distance to Brighton (where our kids have Dutch school once a week). We were quite keen on the Markham playground, so we had our main focus on Ashburton at the end. We ended up finding a house in the next neighborhood Mount Waverley and have not regretted our decision. Some (public) schools have zones and you have to live within zone in order to get accepted in the school, so make sure that you check this. You can find that information on the schools website, but sometimes it is a bit hard to find. Feel free to write us an e-mail on europe2australia@gmail.com if you have questions for us. They might give me inspiration for new blog post. I will be happy to let our kids test out playgrounds for you! Happy accident finding your blog this morning. We are an expat family from the U.S., and we’ve lived in Camberwell for 18 months. (Pre-kids, the husband and I also lived on Saba for 18 months – tried learning Dutch while there, but never could manage the “sch” sound!). I love reading your analysis of your first six months. We went through all of this – so on the mark. I hated the house hunt – we got the first house we applied for but the whole process – the 15 minute viewings, the insanely long and invasive applications – ugh! I’m glad you were able to find somewhere nice without too much trouble. Now that my kids are in their second full year of school, it’s much easier for them. My kids are also into skateboarding. They are still learning and don’t have their own equipment yet so every weekend we take the tram to Riverslide Skatepark (where one can hire equipment) in the City. If you’d like our kids to meet (I have a boy who is 9 and a girl who is 8), we could meet in the city sometime to skate. Another nice thing about our area – lots of bike trails. My husband works in Heidelberg and bikes to work about half the time, mostly on bike trails. Thanks so much for sharing your experiences. You are welcome. Thanks for leaving a reply, we live so close! 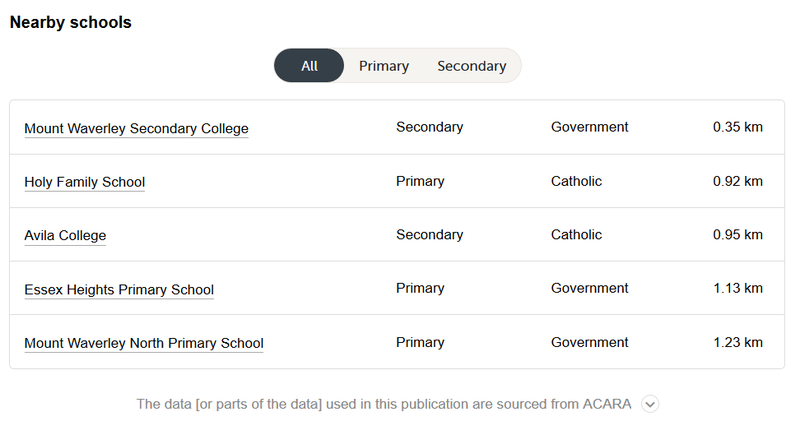 Kai’s friend just transferred to a school in the Camberwell area (grade 4), he would not happen to be in the same school as your son, would he? I would love to meet up with you and your kids, can you send an e-mail to europe2australia@gmail.com so we can set up a meet? Grote klasse dat jullie op deze manier tips geven aan mensen die (met kinderen) naar Melbourne willen verhuizen. Thanks for adding! I think Melbourne is a very child friendly city and there are many good subburbs.